After taking one hundred secret photos and observing him from afar for months, second-year high schooler Yuki Kurihara has finally mustered up the courage to ask out her first-year crush Shinya "Momo" Momotsuki. Although taken by surprise, the bashful Momo accepts; however, he does not know the profoundly abnormal truth. As her strait-laced friend, Norika Mizuyama, has observed, Yuki has developed some unnerving—but nonetheless sincere—habits: taking pictures of Momo in secret, doing extensive research into his personal life, collecting his used straws, and even going "Momo watching." 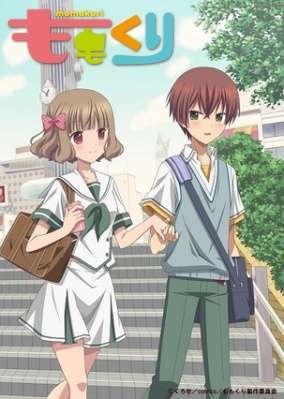 Momokuri follows Yuki and Momo as they shyly explore their newfound love, and also deal with the problems that arise from it.